Roland Dransfield grows team, CIPR to moves offices in London, wins for Withpr, Brands2Life and Refresh. Roland Dransfield has added four new recruits to its staff roster and moved into new offices to house its growing team. The growth comes after the agency picked up six new accounts over the summer, including Drake & Morgan, The Know Group, Frenkel Topping and Accent Housing. 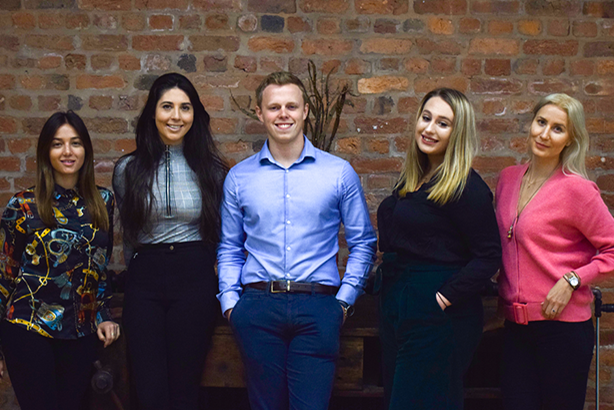 The Manchester-based communications agency has added three new members to its accounts team and recruited a new finance/office manager. The account team additions are Martha Moore, who has joined as an account exec from Pop Marketing at Savills; Sam Dyson, who joins as a junior account executive; and Alicia Verrando, who has joined as an account executive from AS Monaco FC. The fourth recruit is new office finance manager Aino Raittinen, who has joined the team from Property developers Beech Holdings. Brands2Life has been appointed by global leader in artificial intelligence (AI) and cognitive tech systems IPsoft to build the company’s brand and reputation following a competitive pitch process. The agency’s role will be to raise awareness of IPsoft and to position it firmly as a leader in the AI sector through education and brand-building. A key part of this will be ensuring IPsoft and Amelia – IPsoft’s digital colleague and most human AI – are part of the wider debate about AI and its impact on society, as well as work. IPsoft has also appointed Brands2Life global partner Highwire PR to fulfil its US PR brief with the two independent agencies working closely together to deliver results for the AI company. Refresh PR will provide press and social media services for BBF Limited, an ambient cake and desserts manufacturer with operations across the UK. The Manchester-based agency has been appointed to provide PR and social media services. Headquartered in Blackburn, BBF provides retailer own label, licensed and branded cakes supplying retailers across the UK and European markets. Having previously worked with Refresh on a project to announce its acquisition of the Greencore Cake and Desserts facility, BBF has tasked the agency with raising the company’s profile in key trade, business and sector-specific media. In addition to launching new BBF products, Refresh will work closely with BBF to develop and cement relationships with licensors of key brands to help establish key partnerships. This will also see Refresh provide social media and digital campaign services, identified as key engagement channels with retail buyers. The CIPR will leave its Russell Square office ahead of the expiry of its lease in January 2019. The organisation will move to new premises at 85 Tottenham Court Road on 25 October. This move will reduce the CIPR’s operating costs by about £250,000 per year. "Moving from Russell Square reflects a real moment in time for the Institute," CIPR CEO Alastair McCapra said. "It will deliver better value to members enabling us to double down investment in our membership offer. Our new offices will better reflect the modern, forward-looking CIPR of today." Tech agency Withpr has been appointed as the communications consultancy for tech trade show and education community Bett. Bett brings together 850 companies, 100 education tech start-ups and nearly 35,000 learners and educators from around the globe. Bett’s mission is to bring together people, ideas, practices and technologies so that educators and learners can fulfil their potential. The brief requires the strengthening of Bett as a brand – now part of publicly listed conference organiser ITE Group – with a ‘365-day presence beyond the annual trade show cycle’. Withpr’s integrated PR and PA campaign positions Bett as a community within the education industry, connecting teachers, school leaders, academics, edtech innovators, industry leaders and policymakers.